A troupe of Post-Its—in at least four different bright, neon colors—dances up a white wall, with each square's tail gently flapping to the breeze of a ceiling fan. On another wall is a giant whiteboard filled with intricate black and cyan doodles of circles and comic-strip characters, with large words seemingly lifted from a 1960s Batman fight scene. KA-POW. KER-SPLOOSH. BUH-BAM. "What is this?" You think. "How will this become my product?" Something on the whiteboard catches your eye. You move closer, letting a hint of solvent lingering from dry erase markers make its way to your olfactory receptors. It's you. A comic-strip form of you. Next to your likeness are the words you have so-passionately used to describe your new idea... Innovative. Helpful. Friendly. Panning your head further to the right, you begin to navigate a maze of doodles until you see it. There, on the next wall, are print-outs of phone and laptop screens of all sizes. Inside these screens are circles, rectangles, squares. Then you hear it in your ear. Lub-dub. Lub-dub. Lub-dub. You feel it in your chest. Lub-dub. Lub-dub. Lub-dub. Your heart. Your idea. It's beating. Meet design documentation. The heartbeat of a product—from the first spark of inspiration on a soda napkin all the way through launch... and into the future, with the product's evolution and all its iterations and features. Product design is a collaborative process between designers, clients and users. Design documentation fuels that collaboration, driving a project forward and leaving a story of product evolution in its wake. A story that includes: ideas and the user research behind them, as well as design decisions and the rationale behind them. Much like the benefits of having a healthy heart, great design documentation—when organized and clearly labeled—has wonderful benefits with its own ROI. During a project's discovery phase, it is hard to understand and hash out the design problems without any documentation. Take user personas, a thinking tool for pushing the design process along that sometimes is misperceived as fanciful. And yet, collaborating on persona documents is crucial to set the design process on the right course. Personas start with real data and research, which designers often have to solicit from the client. Through the creation of personas, a product's team gets to know and understand potential users on a deep, emotional level. In turn, personas allow designers to question assumptions about a product's requirements, not from their own perspective, but from the perspective of the ones who matter, the potential users. Thus, well-created personas complement the creation of user stories, as well as their mapping and prioritization. After user stories are created, we have a clear focus on the requirements for a project, defined in terms of needs and desires. Additionally, we have a good idea of whose needs and wants need to be prioritized, thus driving the project forward. Once the initial direction is established, win project support by winning their hearts. Design documentation, focused clearly on people, is more persuasive than dry, technical documents simply listing out product specifications. 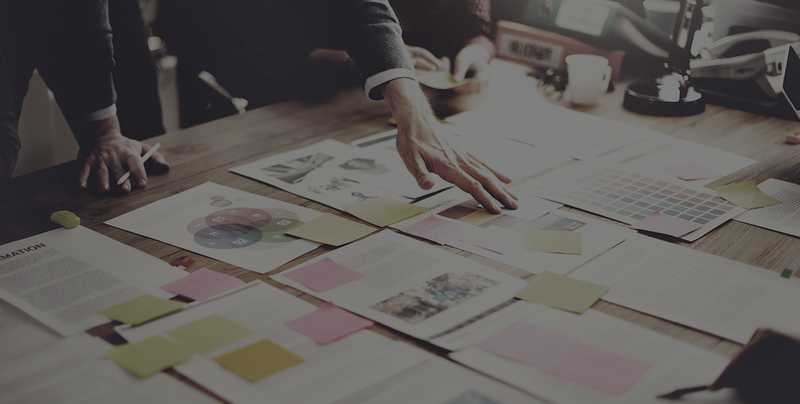 During early stages of product development, you have an opportunity to use the power of design documentation to garner stakeholder support for a project's vision. One way to communicate the breadth and scope of that vision is with customer journey maps. A customer journey map will give stakeholders a clear sense of how users will use a product from beginning to end. While persona and user story documents can yield a wealth of details to last the length of a project, customer journey maps can crystallize the way that "personas" move through the "stories." To avoid the risk of making these maps seem like just a collection of steps, designers will often add other information to the journey. One possibility is to integrate information from empathy mapping into the journey. This means identifying which parts of the user's journey represent either pain points or successes. Given that most products require users to take on different roles and interact with others, many journey maps show how users' actions intersect in their journeys. These multi-user maps are sometimes organized into swimlane diagrams to clearly illustrate the system of connections required to keep a product alive in the real world. When it comes to large projects, we've all been there. The product team is in the trenches coding towards a distant launch date. This is often the time when you and your colleagues are pressing for updates. Many design teams know this is the time to bring in the documentation. And the best design teams will take the responsibility to present organized documentation with visuals that dazzle and with explanations that are easy to understand. But it's hard for clients to resist asking for a fully-visualized, glossy, close-to-final version of their product, even at early stages when the customer journey has not been fully mapped. Wireframes can go a long way to explain what the product is supposed to be. However, these wireframes need to be clearly documented, or even better, made interactive. Interactive design, while frequently documented in user stories, is often taken for granted by stakeholders in favor of full-color mock-ups. But still images cannot document the abundance of states that one single screen can transform into as users interact with the product. Wireframes can easily supplant thousand-word e-mails, while also being much more manageable to update than mock-ups. While each color mock-up can tell a thousand words, an interactive wireframe uses more action words... in fact, it tells a story, providing proof of a product vision coming to life. An interactive wireframe tells two stories. One of a user, and one of a product coming to life. And, as a side note, if you think wireframes aren't pretty enough to make their way into presentations with colleagues... negotiate with the designers to, in parallel, present one "hero" screen in full-color mode. It is much easier to extrapolate the look and feel from one image than it is to try to imagine all the actions hidden within it. Design documentation is a critical vehicle for keeping designers and developers on the same page. Clear documentation translates into organized, actionable items for developers, so that—from the start—they work on building the right functionality and understand why it's being built. Skimping on documentation leads developers to create code for interactions that are different from the design team's intentions or in conflict with user's needs. The journey to the final product isn't overnight. We all know that. It's the process of months of work, with frequent checkpoints of user testing, to ensure that the design changes in progress in fact meet the needs and wants of users. When the design and development team get buried in the details, it's beneficial to return to high-level documentation to make sure every decision still aligns with the larger vision for the product. Delivering changes to a team's software that translates into increased efficiency, output and profits is hard work. And you are often busy developing strategies to bring the same success to other IT projects within your company. Great design documentation from one project can provide the framework for developing winning strategies for these other projects, and even the necessary steps the design team and developers can take to begin. For example, there might be gold hidden in the original set of sketches for another project, as it is less costly to explore a wider range of ideas in this format. Revisiting this stage of an earlier project can point the way for a later redesign, or for another team in your organization to learn from your approach. We all want to brag a little bit about our success, right? Project managers often find themselves in the position of having to justify to stakeholders that usability improvements on existing software or new product builds were money well spent while the ROI is still rolling in. Documentation, showing every design decision and how it resolved problems for the employees using the software, can be a great way to do this. It also provides transparency on every step taken by the design team, providing a clear answer to the "where did the money go" question. Great design documentation clearly answers the "where did the money go" question on a UX project. Additionally, many marketing departments are looking to translate project successes into case studies, white papers and ebooks to demonstrate that the company is still paving the future for the industry. Contained within the documentation, user testing results and annotated wireframes is all the research for the technical writer to deliver a white paper draft. Beyond being the heartbeat that keeps your project moving and improving, design documentation is what you pay for in a project... And it's the responsibility of design teams to deliver. If you feel like design documentation is a lifeless add-on or supplement to a project, then your design team simply isn't using best practices. The movement towards Lean and Agile development philosophies means designers do their best to distill their documentation down to only the exercises and assets that fuel collaboration and drive a project forward. Designers should be using documentation to get your ideas integrated into the design process. During the process, they should use documentation to engage you, update you and track the story of your product's evolution. And next time you walk into a room full of neon Post-Its, you will recognize it as the kind of documentation that will bring your product into the world. Ready to bring your product to life?